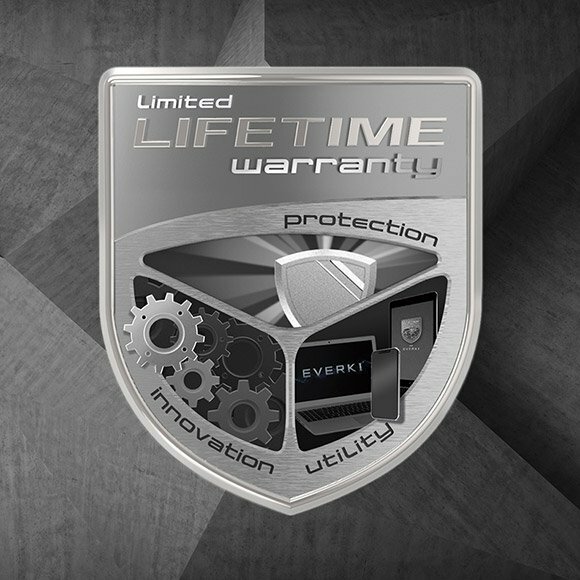 EVERKI products carry a lifetime warranty. We warrant, to the original owner, our products against defects in materials or workmanship; and should any such defect arise, we will repair or replace the bag at our discretion. If the product is no longer available, EVERKI reserves the right to replace it with a similar product of equal value. This warranty does not cover incidental or consequential damages to personal property and does not apply to normal wear and tear, accidental damage, abuse, misuse, alterations or cosmetic damages (like scratches or stained fabrics). To start the warranty process, please submit a request through our Contact Us page. Please be aware that you will be responsible for any return shipping charges back to our facility in Irvine, CA.